The guys at Engadget had the wonderful opportunity to do a brief hands-on on a pre-release Nokia N8 unit in London. Thanks to their live shots, you can really see the N8 size in perspective. Well, it is big. In woman’s hands, it’s HUGE! 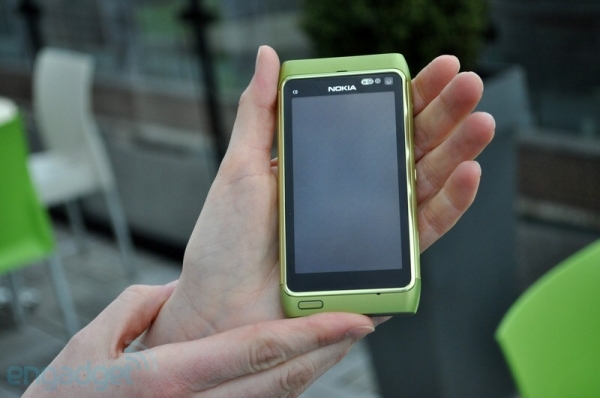 Nokia should really get some male hand models for future presentations of the device. Despite that, the our fellow tech journalists note, it’s surprisingly light for its size and the curved edges obviously make it quite pocket-friendly. Unfortunately, they weren’t allowed to turn the phone on, so the hardware is the only part that we see here. For more pictures check their post.